All Liberal Arts students have an account in Nittany Lion Careers . Log in with your Penn State Access ID and password to start exploring. Throughout the academic year, we will be posting tips to help Liberal Arts students navigate Nittany Lion Careers. Posts will be included on your Nittany Lion Careers homepage and in the Liberal Arts Undergraduate Newswire. 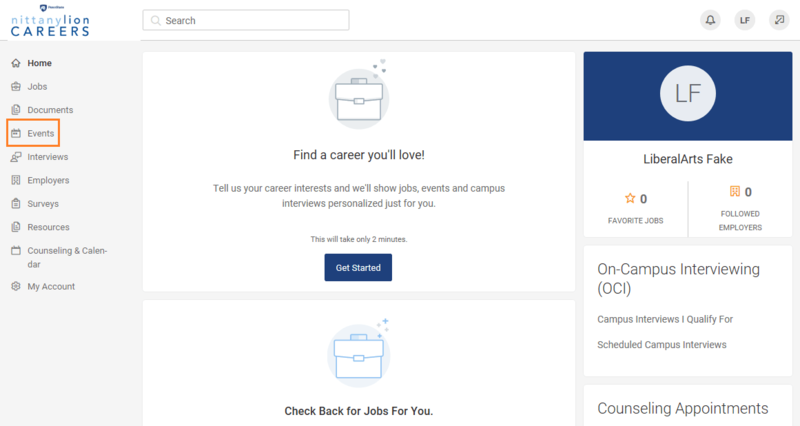 You can also download a copy of each tip in the Resource Library in your Nittany Lion Careers account. Attending Liberal Arts specific career events is a great way to gain skills for and knowledge about the job search process and to interact with recruiters from companies hiring Liberal Arts students. These events can be searched for and RSVP’d to in Nittany Lion Careers. 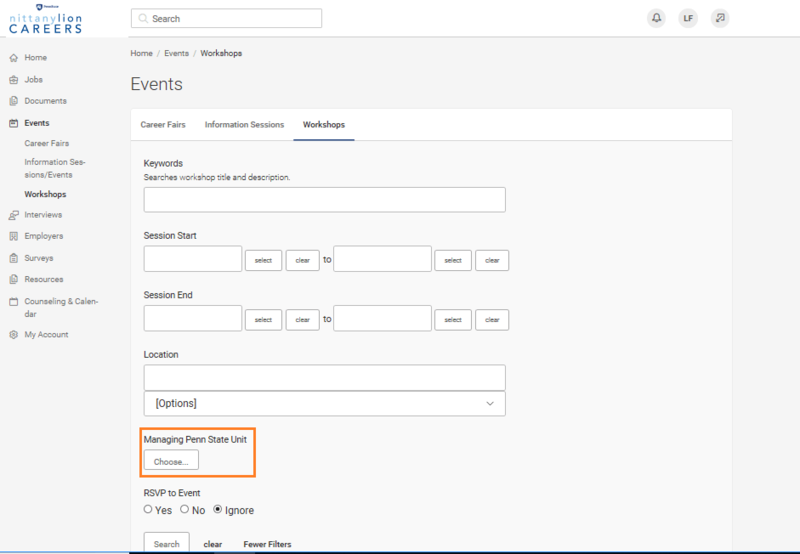 To begin, click on “Events” on the sidebar of the home page. 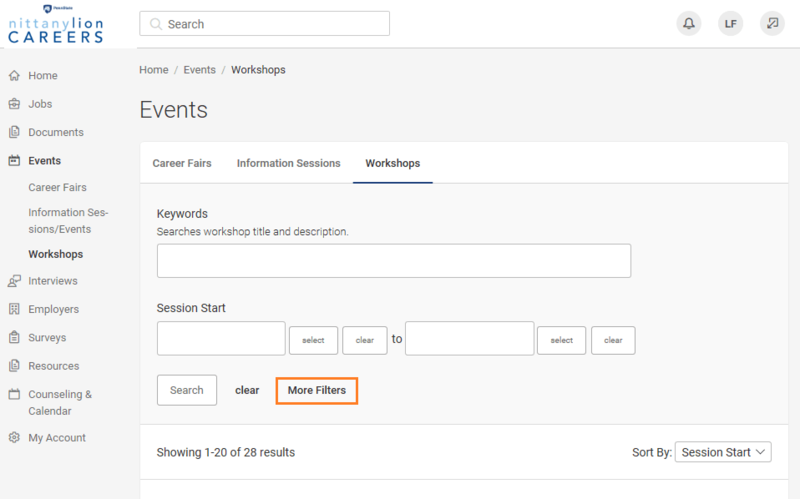 After you have finished adding all desired filters, click “Search.” You will now see a list of Liberal Arts specific career events.